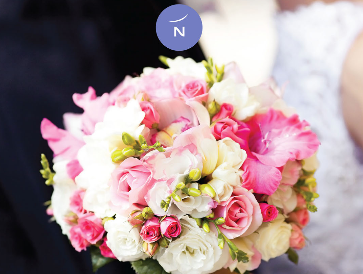 Every wedding held at Novotel Singapore Clarke Quay is celebrated and delivered with pride, passion and perfection. 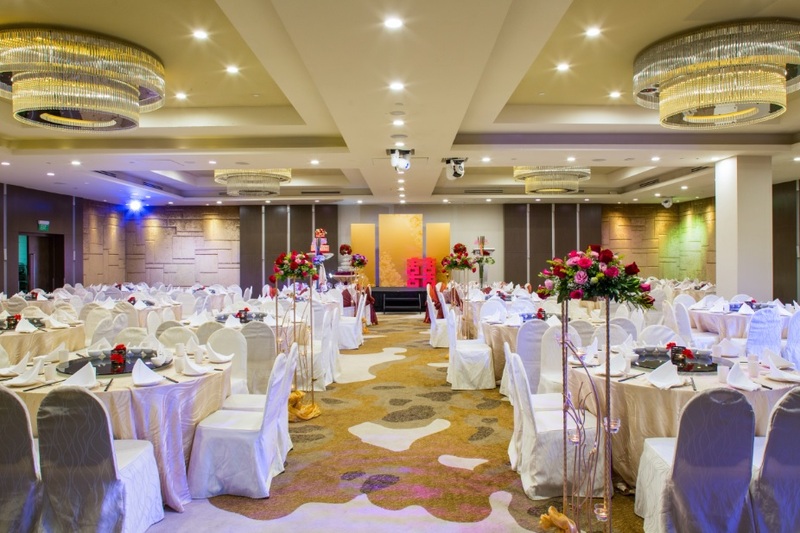 The combination of spacious ballrooms, modern accommodation, excellent Chinese cuisine and divine service makes us the perfect wedding venue in Singapore. 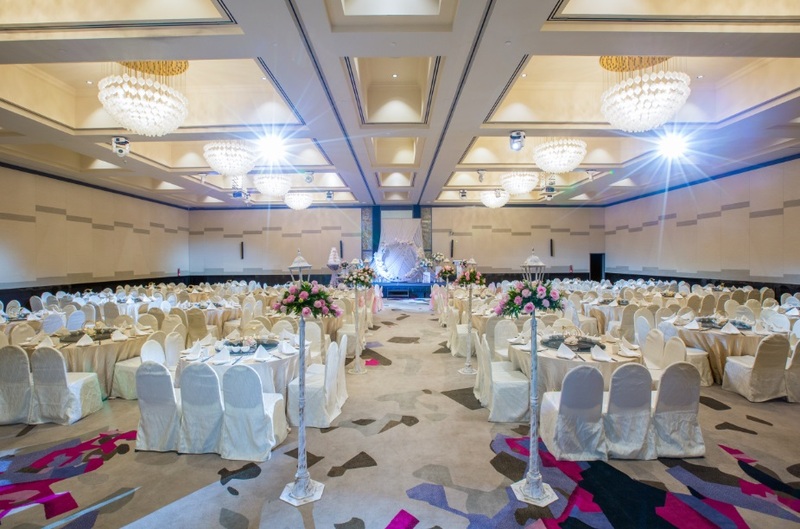 Have your dream wedding of up to 450 guests in our Phoenix Grand Ballroom, a 525 square metre pillarless ballroom. 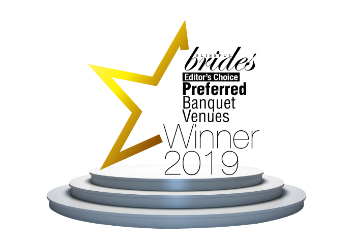 Alternatively, if you are looking for a smaller and more intimate affair, our classic Cinnamon Room will add a touch of glamour to suit your special day. 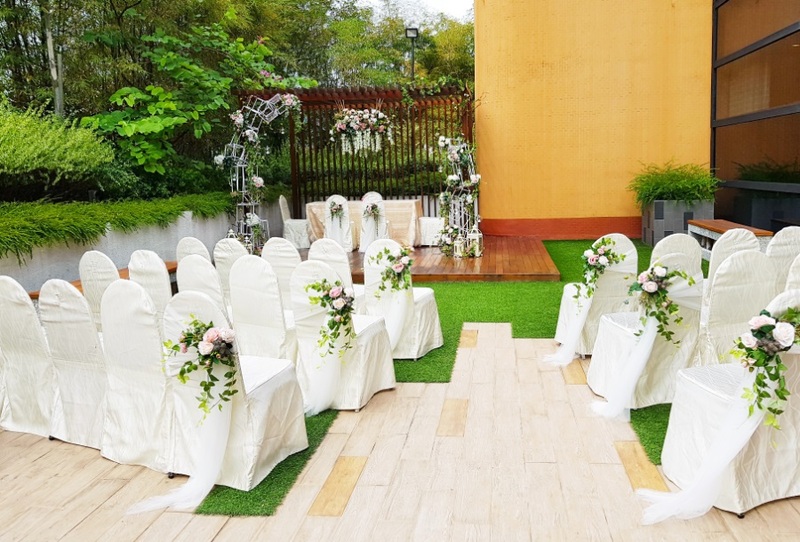 Our outdoor patio with a fantastic view of the Marina Bay area will also be available for your use if you are looking to have a solemnisation ceremony against the evening sky. 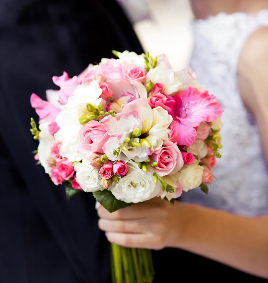 Entrust all the finer details of your special day to our professional wedding specialists. 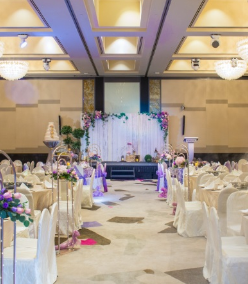 With a dedicated wedding planner, banquet operations team and fantastic wedding packages, a wedding at Novotel Singapore Clarke Quay creates memories that will last a lifetime. Our dedicated team of wedding planners will work closely with you in actualizing the dream wedding that you have in mind and every step of this happy journey of yours. Get clued-in on the latest wedding trends with their professional expertise, and experience brand new themes offering “destination wedding” experience. Be inspired and wowed, as we bring to you the most romantic themes with Garden Fantasy, Eternal Love and Double Happiness. 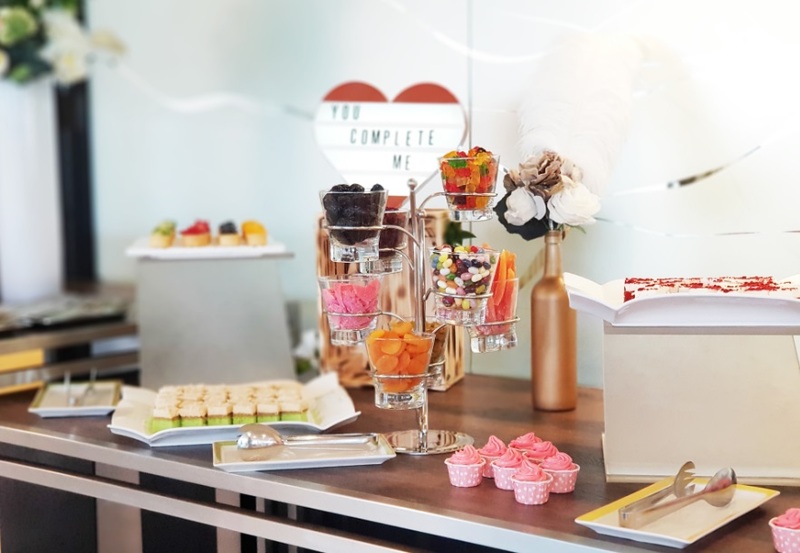 Our wedding packages also come with specially crafted favours, guest signature book, invitation cards and pre-wedding snacks, giving you and your guests a memorable experience. The next morning, start your new married life on a blissful note with a memorable stay in the spacious Bridal Suite. Wake up with an in-room breakfast, a spectacular view overlooking Clarke Quay and Marina Bay, and the love of your life right by your side. 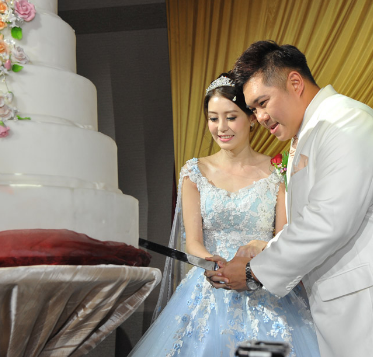 2020 Wedding Packages (Chinese Banquet)PLEASURE PACKAGEPHOENIX GRAND BALLROOMMinimum 28 tablesMaximum 45 tablesCINNAMON ROOMMinimum 18 tablesMaximum 24 tablesWEEKDAYS (Monday to Thursday , excluding Eve of Public Holidays & Public Holidays)S$1,138.00++ per tableDINING EXPERIENCE- Sumptuous selection of an 8-course Chinese menu- Complimentary food tasting on selected menu for ten persons (Valid on Monday to Thursday only, excluding public holidays and eve of public holidays)- Free flow of soft drinks and nibbles during cocktail reception- Free flow of soft drinks, mixer and Chinese tea throughout your wedding dinnerTOAST & MAKE MERRY- Two barrels of 30 litres beer- One bottle of house wine (750ml) per confirmed table for consumption during your wedding dinner- Waiver of corkage charge for all duty paid and sealed hard liquor brought in- Special price for beer and house wine purchased from hotelWEDDING DÉCOR- Choice of exclusively designed wedding theme- Wedding decorations for VIP tables and aisle stands- Seat covers for all chairs to enhance the ambience of the ballroom- Model wedding cake for your cake-cutting ceremony- Champagne fountain with a bottle of champagne for toasting ceremony- Romantic smoke effect and shower of flower petals for your first march-in- Special bubbles effect on stage for the toasting ceremony- Elegant dinner menu displayed on every table- Exquisitely designed wedding signature book for your reception- Choice of wedding favours as giveaways for all guests in attendancePRIVILEGES- Memorable One-night stay in our Bridal Suite with exclusive wedding mementos & buffetbreakfast for two- S$100.00++ credit to spend on our delectable wedding room service menu during your staywith us- Day-use room for coordinators from 2pm to 7pm for room only- Three types of welcome dessert during cocktail reception (for an hour)- Choice of contemporary-design invitation cards based on 70% of the confirmed attendance(printing of inserts not included)- Complimentary use of state-of-the-art AV equipment with projector and screen- One VIP parking lot at the Hotel’s entrance for your bridal car- Parking coupons based on 20% of your confirmed attendanceDESTINY PACKAGEWEEKENDS (Friday, Saturday & Sunday, including Eve of Public Holidays & Public Holidays)S$1,288.00++ per tableDINING EXPERIENCE- Sumptuous selection of an 8-course Chinese menu- Complimentary food tasting on selected menu for ten persons (Valid on Monday to Thursday only, excluding public holidays and eve of public holidays)- Free flow of soft drinks and nibbles during cocktail reception- Free flow of soft drinks, mixer and Chinese tea throughout your wedding dinnerTOAST & MAKE MERRY- Two barrels of 30 litres beer- One bottle of house wine (750ml) per confirmed table for consumption during your wedding dinner- Waiver of corkage charge for all duty paid and sealed hard liquor brought in- Special price for beer and house wine purchased from hotelWEDDING DÉCOR- Choice of exclusively designed wedding theme- Wedding decorations for VIP tables and aisle stands- Seat covers for all chairs to enhance the ambience of the ballroom- Model wedding cake for your cake-cutting ceremony- Champagne fountain with a bottle of champagne for toasting ceremony- Romantic smoke effect and shower of flower petals for your first march-in- Special bubbles effect on stage for the toasting ceremony- Elegant dinner menu displayed on every table- Exquisitely designed wedding signature book for your reception- Choice of wedding favours as giveaways for all guests in attendancePRIVILEGES- Memorable One-night stay in our Bridal Suite with exclusive wedding mementos & buffetbreakfast for two- S$100.00++ credit to spend on our delectable wedding room service menu during your staywith us- One-night stay in our Standard Room (room only) for coordinators on your wedding day- Three types of welcome dessert during cocktail reception (for an hour)- Choice of contemporary-design invitation cards based on 70% of the confirmed attendance(printing of inserts not included)- Complimentary use of state-of-the-art AV equipment with projector and screen- One VIP parking lot at the Hotel’s entrance for your bridal car- Parking coupons based on 20% of your confirmed attendanceWedding lunch PACKAGEWEEKDAYS / WEEKENDS (Monday to Sunday, including Eve of Public Holidays and Public Holidays)S$1,068.00++ per tableDINING EXPERIENCE- Sumptuous selection of an 8-course Chinese menu- Complimentary food tasting on selected menu for ten persons (Valid on Monday to Thursday only, excluding public holidays and eve of public holidays)- Free flow of soft drinks and nibbles during cocktail reception- Free flow of soft drinks, mixer and Chinese tea throughout your wedding dinnerTOAST & MAKE MERRY- Free flow beer upon commencement of your wedding lunch- One bottle of house wine (750ml) per confirmed table for consumption during your wedding lunch- Waiver of corkage charge for all duty paid and sealed hard liquor brought in- Special price for beer and house wine purchased from hotelWEDDING DÉCOR- Choice of exclusively designed wedding theme- Wedding decorations for VIP tables and aisle stands- Seat covers for all chairs to enhance the ambience of the ballroom- Model wedding cake for your cake-cutting ceremony- Champagne fountain with a bottle of champagne for toasting ceremony- Romantic smoke effect and shower of flower petals for your first march-in- Special bubbles effect on stage for the toasting ceremony- Elegant lunch menu displayed on every table- Exquisitely designed wedding signature book for your reception- Choice of wedding favours as giveaways for all guests in attendancePRIVILEGES- Memorable One-night stay in our Bridal Suite with exclusive wedding mementos & buffetbreakfast for two- S$80.00++ credit to spend on our delectable wedding room service menu during your staywith us- Choice of contemporary-design invitation cards based on 70% of the confirmed attendance(printing of inserts not included)- Complimentary use of state-of-the-art AV equipment with projector and screen- One VIP parking lot at the Hotel’s entrance for your bridal car- Parking coupons based on 20% of your confirmed attendance* All rates quoted are subject to 7% GST & 10% service charge, unless otherwise stated.Novotel Singapore Clarke Quay reserves the right to amend the terms & conditions without prior notice. - International Buffet Lunch at $2,388.00++ for 30 persons(Additional at $68.00++ per person)- High Tea Reception at $2,188.00++ for 30 persons(Additional at $60.00++ per person)- International Buffet Dinner at $2,688.00++ for 30 persons(Additional at $78.00++ per person)WITH COMPLIMENTS- Free flow of soft drinks, coffee and tea for 3 hours.- Inclusive of solemnization decorations.- Parking coupons based on 20% of your confirmed attendance.- One (01) night stay in Superior Room with breakfast for two (02) persons.- One (01) bottle of house wine for every 10 guests confirmed (Applicable forbuffet lunch and buffet dinner packages only).- Waiver of corkage charge for all duty paid and sealed hard liquor brought in.Terms and conditions:•Minimum guarantee of 30 persons is required.•A non-refundable and non-transferable deposit of 50% on the contracted value is requiredupon confirmation.•Additional charges are applicable should the solemnisation ceremony be held at a differentlocation prior to the event.•For outdoor solemnization at Terrace, there will be a rental charge of $800.00++ inclusive ofdecorations (back up venue will be in the function room in the event of bad weather).•Prices are applicable for solemnisation held by 31 December 2019.•All rates quoted are subject to 10% service charge and prevailing government taxes, unlessotherwise stated and is subject to change of government taxes and/or levies.•The Hotel reserves the right to revise the packages and rates without prior notice. 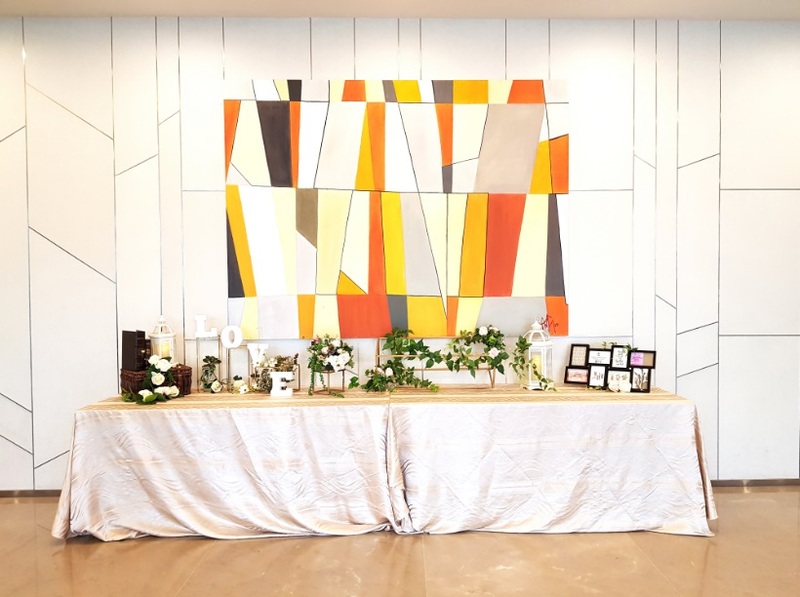 Embark on your Celebration of Love at Novotel Singapore Clarke Quay's Wedding Showcase 2018 and enjoy a cash rebate of up to $128.00++ per table! 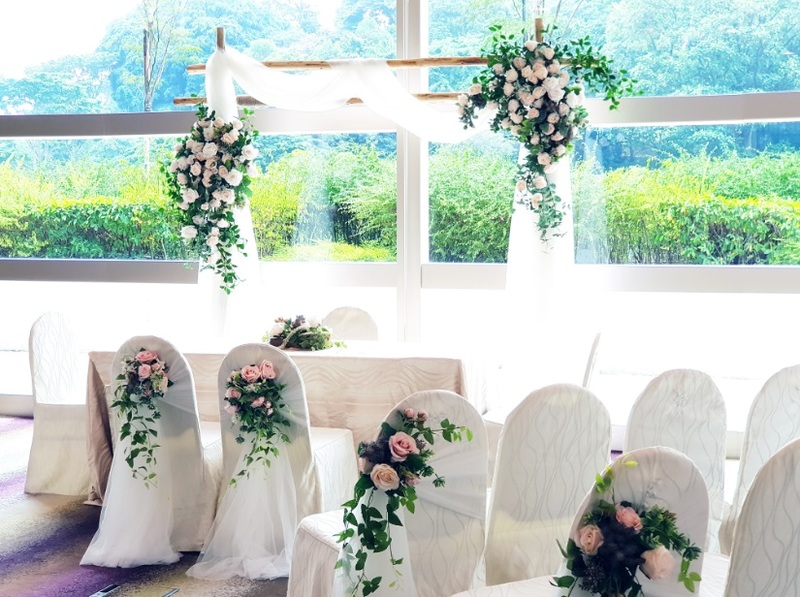 Celebrate your dream wedding in a lavish and dreamy garden theme by the quay, boasting a magnificent view of the Marina Bay overlooking Singapore's city skyline. 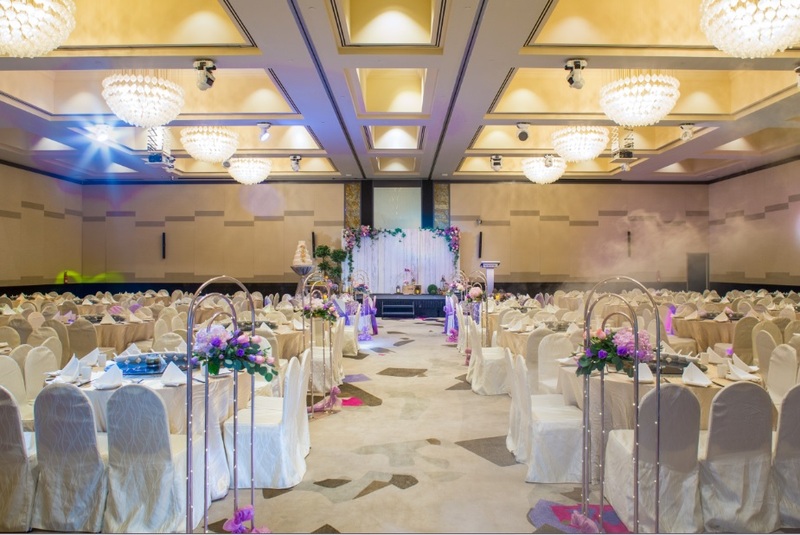 Featuring the latest wedding themes and packages in conjunction with noted bridal vendors, embark on your romantic love story at the Novotel Singapore Clarke Quay's Wedding Showcase on 4 August 2018. 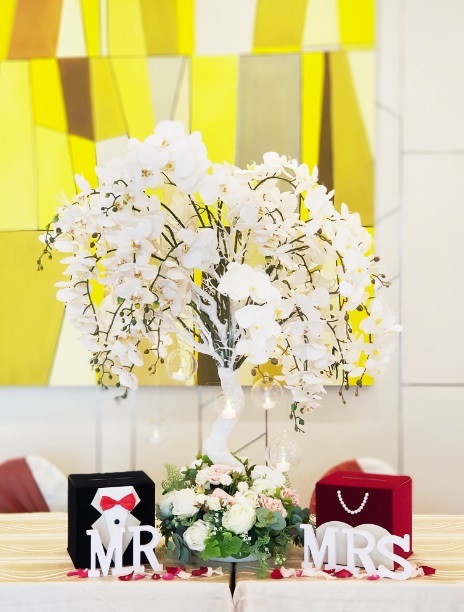 Be the first 18 couples to sign up with us and enjoy rebates of up to SGD128++* off per table when you confirm a wedding package with us on the very day! Speak with our Romance Specialists to find out what are the latest wedding trends as our team come up with creative and ideal solutions for your big day. Save this date in your calendar and you will be on your way to enjoy greater savings for your wedding. 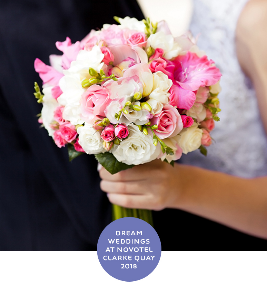 Weddings at Novotel Singapore Clarke Quay is Where Dream Weddings Come True. 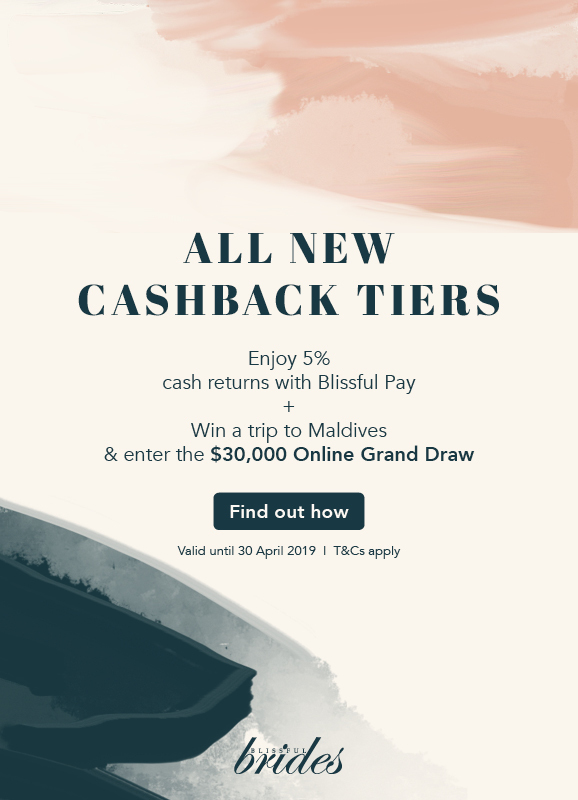 To find out more, please email your enquiries to H5993-SM3@accor.com or call +65 6433 8633. *Terms and conditions apply. RSVP early for complimentary admission. 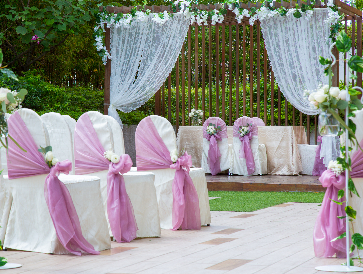 Celebrate your dream wedding in a lavish and dreamy garden theme by the quay, boasting a magnificent view of the Marina Bay overlooking Singapore's city skyline. 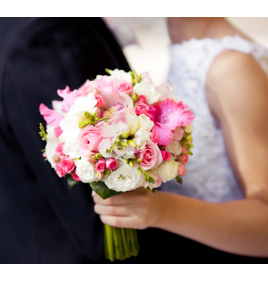 Speak with our Romance Specialists to find out what are the latest wedding trends as our team come up with creative and ideal solutions for your big day. Save this date in your calendar and you will be on your way to enjoy greater savings for your wedding. To find out more, please email your enquiries to *Terms and conditions apply.